Netshield SFP range: The perfect reason to not replace your network but to rather convert it. With the growth in cloud applications, digital solutions and IoT, the demand for high quality data networks continues to flourish. 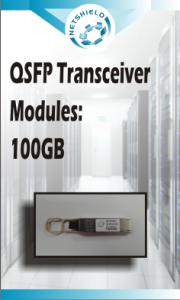 The costs however remain crippling when looking to scale out networks, which is why with the competitively priced Netshield SFP, SFP+, QSFP and QSFP28 compatible transceiver modules from Netshield, you can expand your voice and data networks by adding fibre into your existing network without throwing out what you have – at enormous expense. 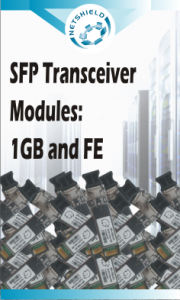 Previously available in only 1G (SFP) and 10G (SFP+) versions standard with LC type fibre connectors, Netshield has expanded its range to include both 40G and 100G Transceiver modules, all of which can be used to integrate seamlessly with any distribution, access switch and other networking equipment that has the appropriate transceiver slots. 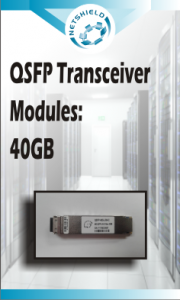 As the company’s SFP compatibles are hardware agnostic they will interface with switches that include HP, Cisco, Juniper, Alcatel-Lucent or Avaya, and more.